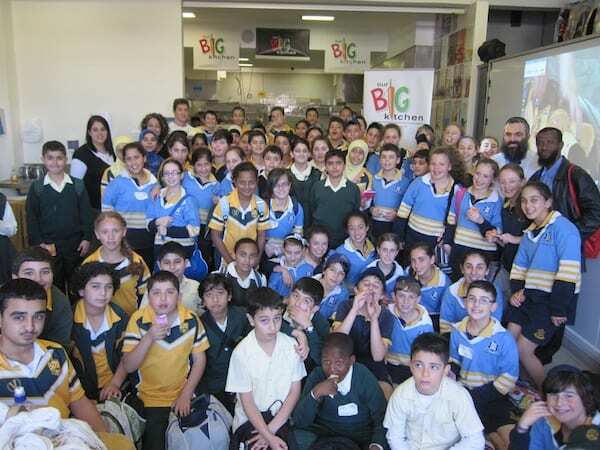 Schoolchildren from Jewish dayschool Mount Sinai College donned aprons along with children from Muslim dayschool Arkana College to cook up a feast of traditional Jewish and Muslim dishes to eat together with overproduction distributed to the needy. Bondi’s Our Big Kitchen was the venue for the cookfest, the perfect choice given that it licensed to produce both Kosher and Halal certified food. Arkana College is based in the Sydney suburb of Kingsgrove. Isnt it ironic that Jew & Arab can cook and eat together but Yeshiva and Kesser Torah people cannot.